Years earlier, Cora rescued Downton Abbey with her New World riches by marrying Robert, Earl of Grantham (Hugh Bonneville). Now, New World and Old World are about to clash as Cora’s mother locks horns with Robert’s redoubtable mother, Lady Violet, played by Maggie Smith. Last season closed with the reluctant heir to Downton, Matthew Crawley (Dan Stevens), recovered from his war wounds and ready to tie the knot with the eldest of Lord and Lady Grantham’s daughters, Lady Mary (Michelle Dockery). Meanwhile, Mary’s youngest sister, Sybil (Jessica Brown-Findlay), has eloped to Ireland with the political-minded chauffeur, Branson (Allen Leech), and is expecting a child. 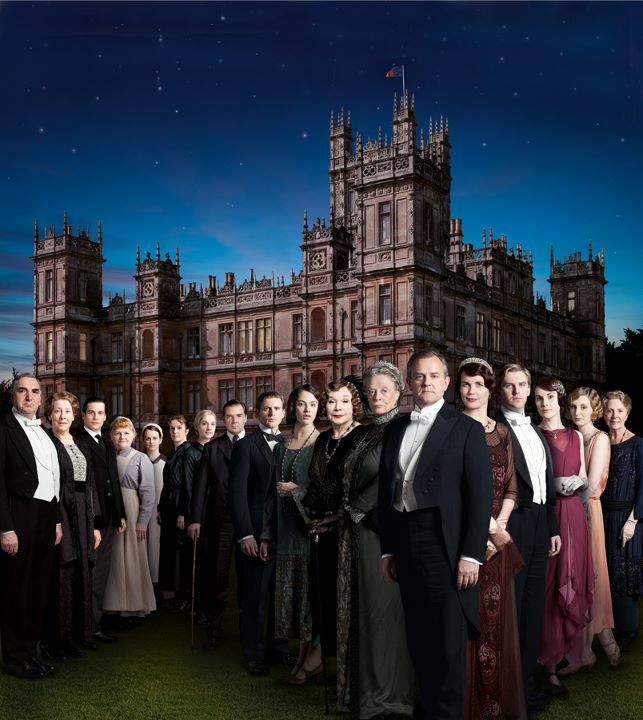 A tantalizing glimpse ahead: Downton’s impeccable butler, Carson (Jim Carter), breaks in a new footman, who happens to be the nephew of the scheming lady’s maid O’Brien (Siobhan Finneran). Following Matthew and Mary’s engagement, Robert sticks to his duty to maintain Downton more firmly than ever — even as other great houses are crippled psychologically and financially in the wake of World War I. 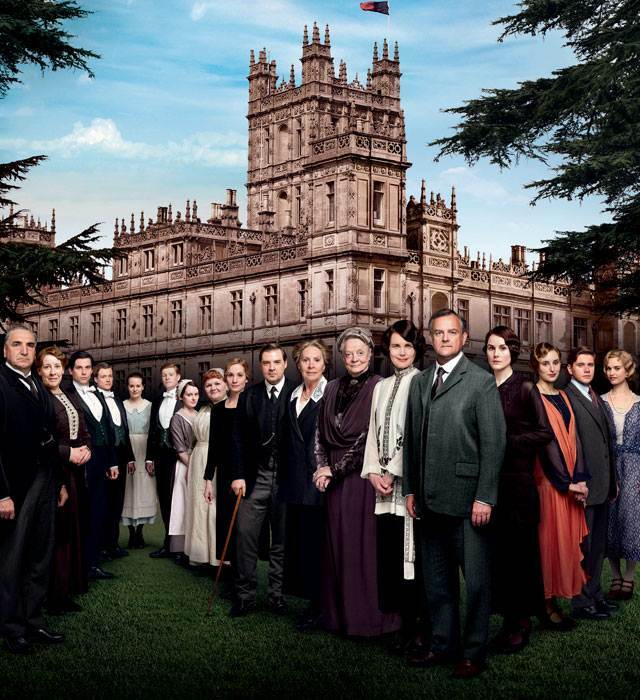 In this changing landscape nothing is assured, and could it be that even the war-weary Crawleys must fight a new battle to safeguard their beloved Downton? I love Downtown Abbey! I just purchased some pieces from the heritage lace collection inspired by the show!